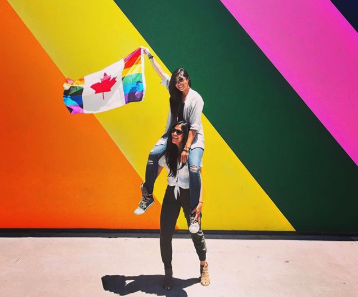 June is LGBTQ Pride Month, and here at Jaanuu, we love sharing your empowering stories. 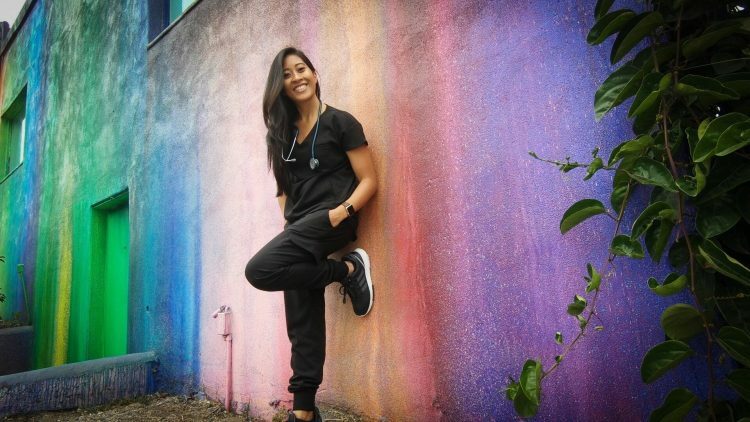 Recently, we got to chat with Crystal, an RN in Southern California, about nursing, her long distance relationship, and the simple ways she and her wife live with Pride. To me, Pride means accepting who you are and being proud of it. It’s about setting a positive example for society in hopes of making the world a better place. Pride is showing love has no limits and is unconditional. My partner, Persis, is the most amazing being I have ever met. She has such a pure heart, is so selfless and makes me laugh every single day. I couldn’t have been luckier to have found someone so fitting for me. Being a nurse and being in a long distance relationship would be difficult, but she has made it work. She surprises me after work (all the way from Vancouver) by having dinner made for me after a sometimes stressful day on the job. Although June is Pride Month, pride exists all day every day. How do you show your pride in your daily life? Through our relationship, we try to show what pride means to us whether together or apart. We show it in the simple things, like proudly holding hands while walking down streets in places we are blessed to live in. Some countries don’t recognize our relationship but knowing that both of our countries do, we will not take that for granted. Even sharing our photos on Instagram helps show people that we aren’t scared of showing our true selves. What is the best part of being a nurse? In the 7 years that I have been a nurse, I can say my favorite part of the job has been meeting different people. Even though at times situations can be stressful, the adrenaline high of working as a team to save someone’s life and see miracles happen is a blessing. To future nurses – don’t be afraid to ask for help or ask questions. Don’t think any question is dumb. Leave work at work, but if you need to vent, have a support system or positive way to de-stress. Remember, you’re taking care of more than just another person. It’s someone’s wife, husband, mother, grandfather, etc. so try to put yourself in their shoes and never lose compassion. Hear more from our Everyday Superheroes here and here.